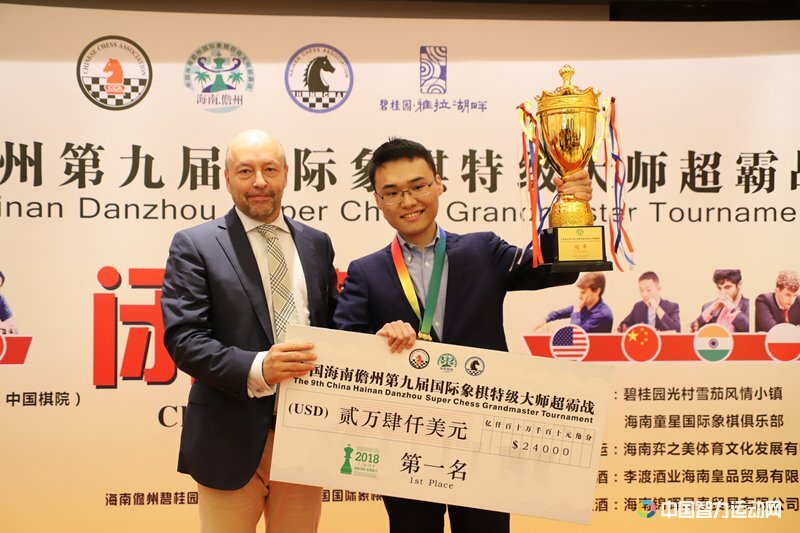 Тhe 9th Hainan Danzhou GrandMaster Chess Tournament in Hainan, China took place from July 26 to August 3 in Danzhou, a western city in China’s Hainan province. 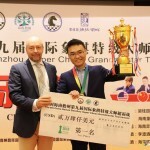 It was held at the China Chess Association Hainan Zhangzhou Training Base. It was 8 players round-robin with average rating 2728. The winner is GM Yu Yangyi with 4,5 out of 7. In the final round he drew against the US champion GM Sam Shankland. Second is GM Quang Liem Le with 4 points, who managed to win his last game with black against GM Vidit. Four players have made 3.5 points and third is GM Yi Wei with best tie-break.